Millie Brown, the new Head Chorister. History was made at the Minster on the last Sunday of the church’s year, the Feast of Christ the King. During the morning choral eucharist, Father Nick Nawrockyi installed Millie Brown as the new Head Chorister. Although girls have sung in the Minster at a number of times in the building’s history, Millie is believed to be the first ever female Head Chorister at the Church. 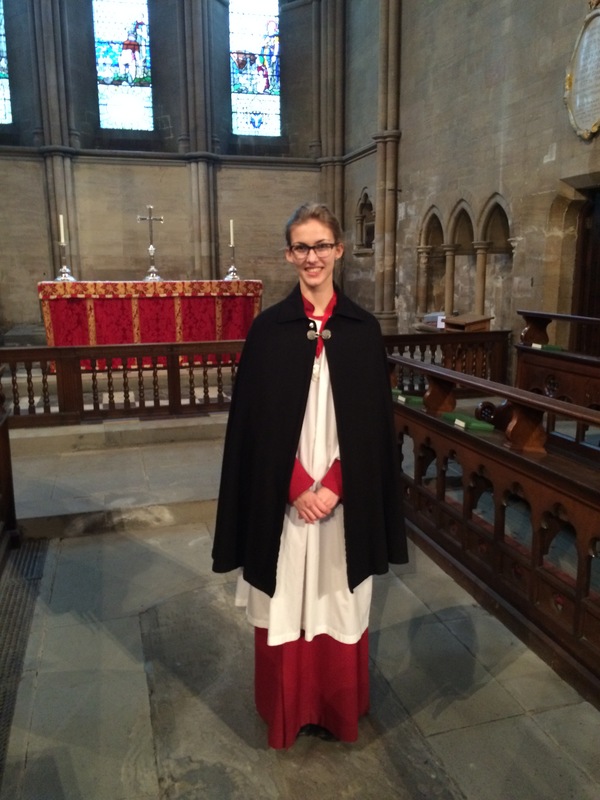 Millie is seen, here, pictured after her installation, proudly wearing her Head Chorister’s medal and cape. This entry was posted in Uncategorized and tagged choir, chorister, choristers, Grimsby, Grimsby Minster Choir, Head Chorister, Millie, Minster. Bookmark the permalink.